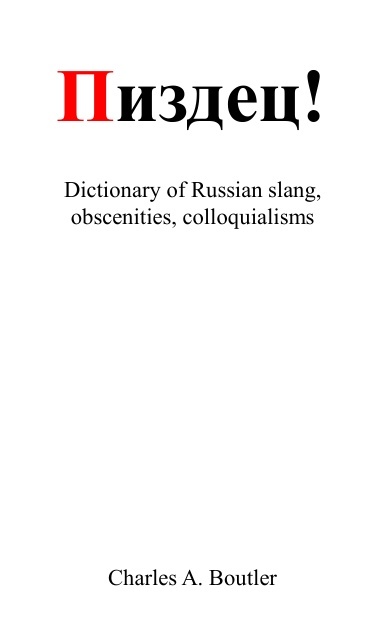 Comprehensive dictionary of Russian slang with meaningful explanations. Extensive dictionary of Russian slang. Russian site on mat with a dictionary. Dictionary of Russian mat by MK. Official website of Alexey Plutser-Sarno, leading Russian specialist of slang. A must if you understand Russian. Slang dictionary with numerous entries. A collection of Russian rude sayings and expressions by Denis Yatsuko. Dictionary of Russian thieves’ slang. Dictionary of Russian drug addicts slang. Dictionary of the language spoken in soviet Gulags. Article by V. Mokienko about Russian slang. A thourough article by G. Kovalev about Russian taboo language. Comparative analysis of slang and curses across the globe by Vladimir Koba. Anonymous article on Russian slang. Introduction to mat by Victor Evrofeyev. Article about the current role of mat in Russian language, by Victor Evrofeyev. Comment of A. Gorokhovski (with an amusing, but wrong, etymology of the word хуй). Article by V. Belyanin on foreign words sounding like Russian swears. Complete list of reference on Russian jargon and slang. Dictionary of Austrian terms, including slang and curses. Alternative dictionary of German, collection of euphemisms. Large collection of German swears. Over 120 millions German swear words and insults. Comprehensive dictionary of French argot. French youth slang (or understanding what’s being said while your car is being torched in a Paris suburb). Definition and origin of French Verlan. Explanation of javanais and slang generator. Article by Boris Sukitch Razvratnikov published in 1989 by Maledicta. Analysis of Hungarian slang by Dávid Szabó. Online dictionary of Polish slang. Based on Maciej Widawski’s Corpus of Colloquial Polish, it probably the most comprehensive treatment of nonstandard Polish. Brilliant blog dealing with languages and technology. Russian jokes and funny stories. Classical Russian slang, including a parody of Evgenij Onegin (text and mp3). Amusing quotes from the Russian Internet. Offical website of the group Leningrad, which songs are full of slang. Amusing quotes from the French Internet.